This page contains a strategy guide for the Sand Kingdom in Super Mario Odyssey. 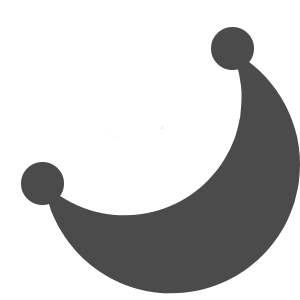 The guide includes the location for each Power Moons in the kingdom. 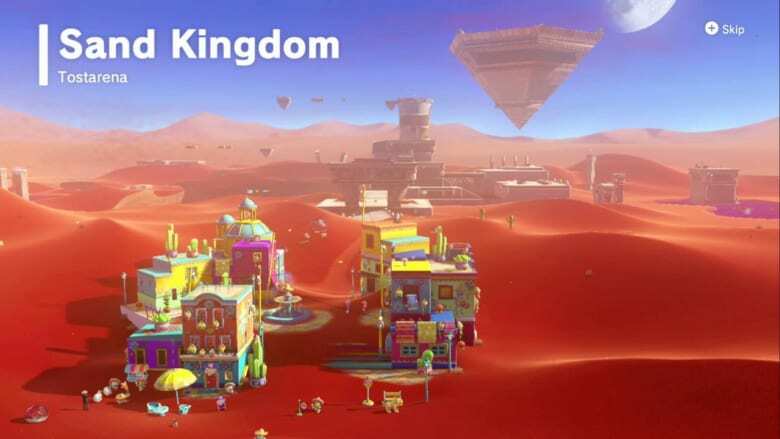 The Sand Kingdom is based on locations found in Mexico and mostly Egypt. Its greater location is Tostarena, where there is an abundance of Aztec-like structure in the area. The Regional Coins in this kingdom are Pyramid coins, which area shaped like an inverted pyramid. Mario needs 16 Power Moons in order to power up the Odyssey. There is a total of 69 Power Moons found in the Sand Kingdom. After talking to the residents of the city, head to the ruins located at the back. Capture a Bullet Bill and go to the other side. Open the tulip by hitting it with the Bullet Bill. Then at the end, climb the steps. Jump on the sand platforms, but time your jumps well. Enter the clay pipe at the end. Jump on the moving platforms and climb up the stairs at the end. Climb up the cylinder and enter the clay pipe. Climb the tower as 2D Mario and get the Power Moon once you reach the top. There is also a secret Power Moon at the top of the mural. Go to the moving platform and try to reach some of the extenders using Cappy. These extenders can also be used to break blocks that will allow you to reach the Sand Kingdom Purple Coins. As the platform goes down, move to the right corner of the platform to go to the last area of the island. On the island, you will have to find five Moon Shard that forms into one Power Moon. These shards are scattered around the island. The first Moon Shard is near one of the Moe-Eyes. The second Moon Shard is found if you go west from the first Moon Shard, then go to the top of the hill near the edge of the island (near a stone pillar). The third shard is to the south of the island near two cacti. The fourth shard is found in the poison swamp. Capture a Moe-Eye and spot an invisible bridge that leads to the Moon Shard. The last shard is found after heading to the Northwestern part of the island and ride the moving platform. Ride the platform after capturing a Moe-Eye, then walk on the invisible bridge leading towards the last Moon Shard. The Power Moon appears at the edge of a broken bridge to the north. Take the moving platform that appears after getting the Power Moon to get off the island. When you enter the clay pipe, make the left hidden block appear. A platform that switches gravity will appear in the area. The blue section of the tower works on normal gravity, but the red section will make Mario go upside-down. There is a clay pipe once you go further in the area. The pipe leads outside of the pyramid. Go to the top of the area and there is another clay pipe that you can enter. Make the Bullet Bill hit the breakable block. Capture the Bullet Bill and go to the other side. Go up the stairs to go outside. You can go to our in-depth Harriet Boss Guide. Ride the Jaxi for 30 coins and go back to the pyramid. Enter the hole that appears underneath the floating pyramid. Capture a Goomba and you will not slip on the ice floor. Go through the ice platform. Capture a Bullet Bill again and go further into the area. You can go to our in-depth Knucklotec Boss Guide or move to the next area: Lake Kingdom.